Being explosive out of the blocks is what all coaches are working on with their sprinters. We all know that many sprints are won and lost at the start. Coach Latif Thomas of Complete Track and Field says he want his sprinters to feel like they are “using the blocks as a launching pad.” Some sprinters step out of the box and thus come up too quickly. He wants his sprinters to push hard of two feet and propel themselves forward with maximum displacement of the hips. In the video clip below Coach Thomas takes you through what he calls the Block Blast Drill. He uses this drill to teach his athletes what it feels like to push hard with both feet and jump out of the blocks as opposed to stepping out of the blocks. This is a very simple drill sprinters can have some fun with while executing. The clip is from the Complete Track and Field YouTube Channel. 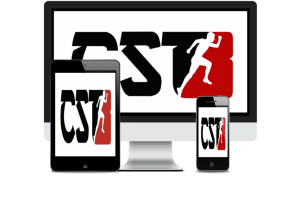 If you are interested in viewing other great videos you can click on the link above or you can visit their website for other coaching resources. The Youtube video below has sound, so please make sure that your sound is turned on and that you have access to the site. Some schools block access to YouTube. Coach Thomas suggest having the athletes do this drill first with out blocks and then move to using the starting blocks. The block bast drill is quite simple to set up. Simply get a pole vault or high jump mat. Line your athletes up in front of the mat a few feet away. Get them in their stance and simply have them launch themselves forward onto the mat. Coach Thomas suggest pulling out the cell phones and let them record each others lumps. Push hard with both feet.